Built in Chicago. Best in class. Since 1930, Quam Speakers has been committed to building the best all-round customer experience for system integrators, contractors and OEMs. No games, no gimmicks, just good people delivering great products and great service at a great value. 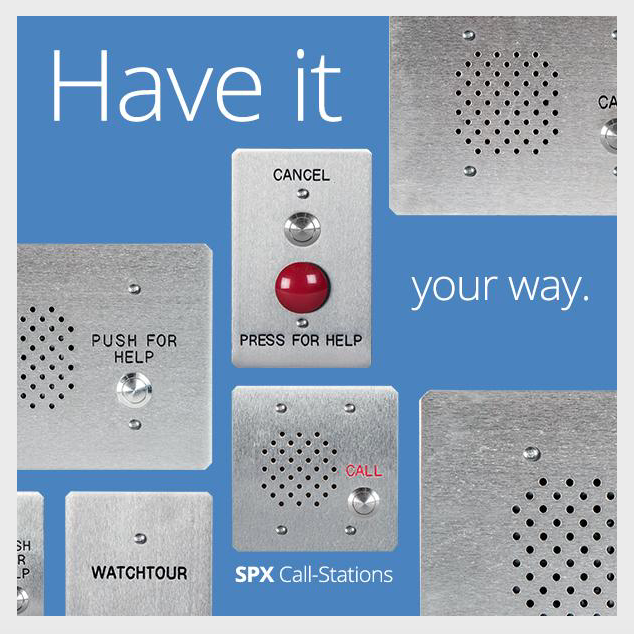 So if you're searching for quality, commercial-grade loudspeakers for paging, mass notification, sound masking or background music, look no further. Quam has everything you need — and always in stock. 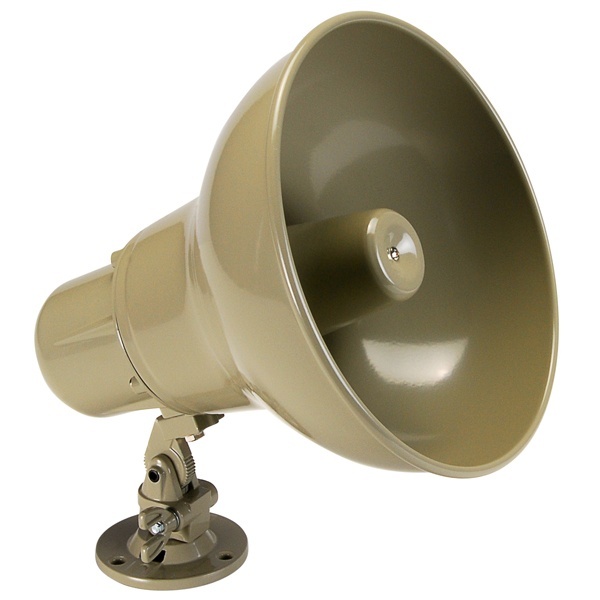 At Quam, we believe that once installed, a loudspeaker shouldn’t need maintenance, repair or replacement. 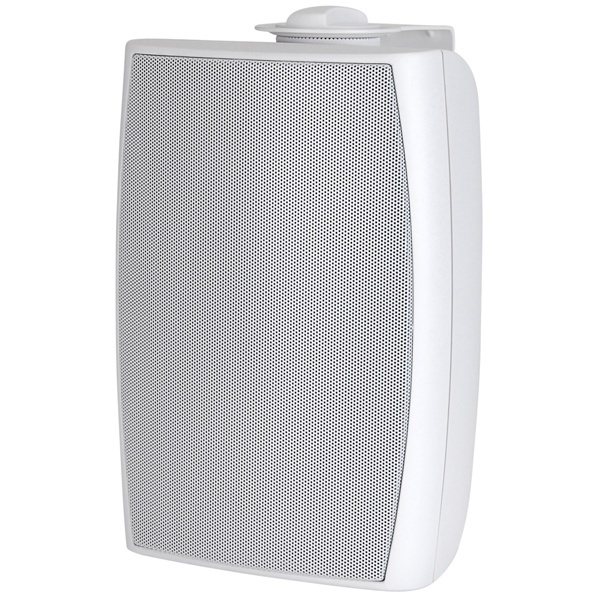 Property owners and installers should expect loudspeaker installations to outlast the building. Our Healthcare Solutions consistently exceed expectations with ‘Right-out-of-the-box’ reliability and unmatched durability that comes from more than 80 years of hands-on, continuous product improvement. Quam Replacement Speaker Selection Made Simple! 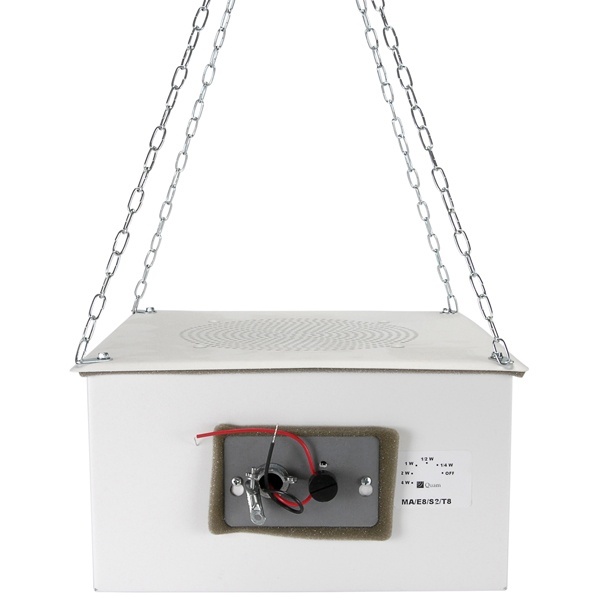 Download this guide to determine which ceiling tile speakers to choose for your next project. 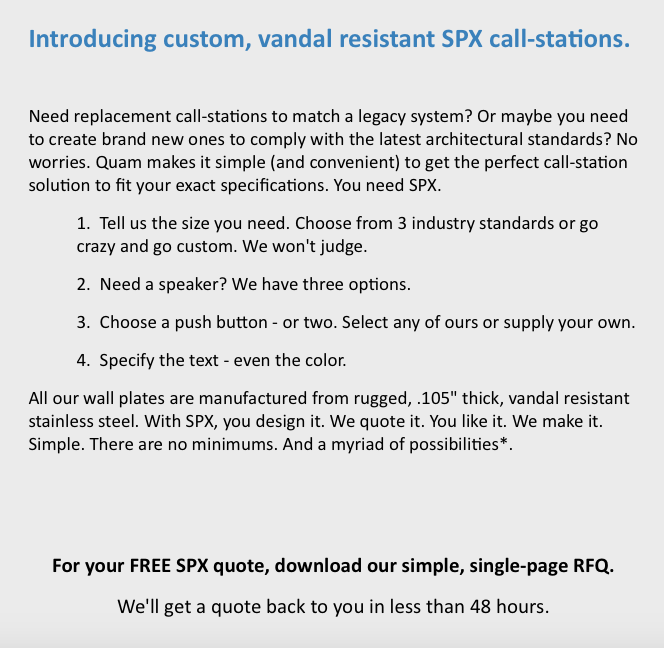 Find out why you should choose Quam tile replacement speakers over traditional cut-in speaker installations by downloading this guide. Download Quam's Sound Masking Application Guideto demystify the elements of sound masking while learning the basics of installing a sound masking system.